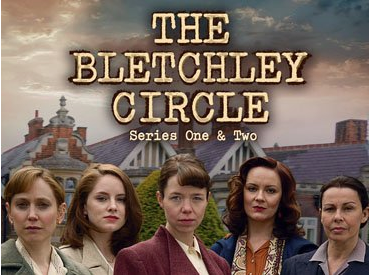 This entry was posted in Movie, Post-war, Reviews, WWII and tagged Bletchley Park, British TV Series, Post-war, The Bletchley Circle, WWII. Rachelle and I watched this and enjoyed it. I enjoyed this series and Enigma very much. Season two wasn’t quite as good without the main character, Susan. Have you seen The Imitation Game yet? It’s very well done. I haven’t watched season two yet but will probably do so anyway. I hadn’t even heard of The Imitation game – so thanks for mentioning it. I need to re-watch Enigma. I really like that movie. Imitation Game is about Alan Turing, who broke the Enigma code. Benedict Cumberbatch plays Turing and is fantastic. That sounds interesting. Cumberbatch is a great actor. Thanks for the uploading these episodes. Thanks! By the way.. Please try http://picuploaders.com as your image hosting site.